Two Warhol covers make the list this week, the Spanish instruction record that made the list two weeks ago. The other is Ultra Violet's undistributed LP (it was pressed but never sent to stores). Tied with the Madrigal LP at #1 is an unreleased prototype picture disc 12" from The Police. A similar second prototype get the #2 spot. Both had been owned by a former A&M executive. More on this week's top 5 on, Vinyl Record Talk Tuesday 8:00PM Eastern / 5:00PM Pacific on Radio Dentata. All the cool stuff in our store is 50% off, that includes the Soul (Northern, Modern, Detroit, Philly, Chicago, Southern, 80's), Psych, Garage, Bubblegum, Rockabilly 45's and more . . .
Stop By Vinyl Record Talk Store and get your vinyl! It's been two years but this Spring sees the band's triumphant arrival on the UK's shores. With them they bring their own brand of sun-spattered orchestral pop and new album 'The Orchard', which showcases this resplendent new dawn. 'Boy' is the first single from the new record, released on the 28th March, with album 'The Orchard' following later on 16th May. 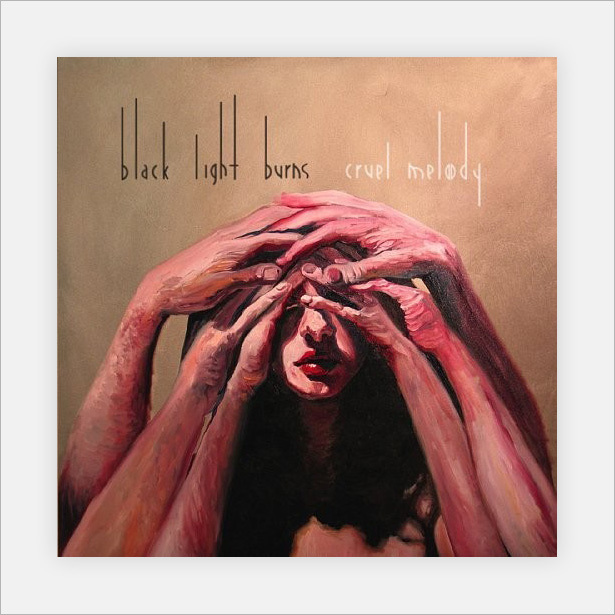 Both releases will be through the band's UK label, independent newcomer Brine and Barnacles Records. 'The Orchard' is the band's sophomore record and as its title suggests, was recorded at a peach orchard farmhouse in upstate New York. On this album, the band seem to have found an assurance and joie de vivre that came from the closure obtained by laying their debut, 'The Rhumb Line' to rest. All framed within the context of discovering the pleasure and benefits obtained from country living. This is more than evident in the songs that Ra Ra Riot will proudly lay before us. The story of the 2008 debut and its release had more than its fair share of light and shade cast across it; from the sad demise of the band's dear friend and drummer John Pike to label shakeups. Throughout, however, the band remained stalwart knowing their album was a classic. 'The Rhumb Line' emerged to critical acclaim selling over 70,000 copies in the US. NATICK — Poking through bins and boxes in her Natick shop, Eleni Vlahou-Dimeo pulled out the Beatles' "Yellow Submarine" in its psychedelic jacket, Miles Davis' "Kind of Blue" and a boxed set of Richard Wagner's epic opera "Ring of the Nibelung." All vinyl - just like the other 50,000 or so 33, 45 and 78 rpm platters in Deja Vu Records at 154 East Central St. Since 1998, the Natick resident has sold thousands of hard-to-find records to customers across the region and around the world who are convinced music sounds better on vinyl. 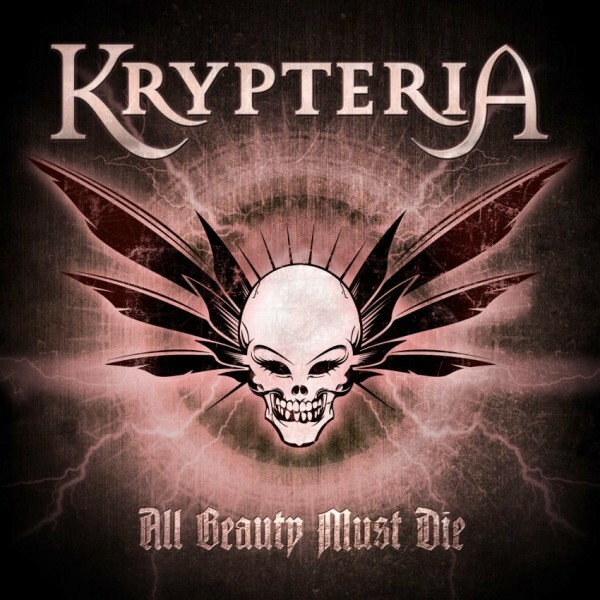 German symphonic gothic metal band Krypteria will release their new album All Beauty Must Die on April 22nd through Roadrunner Records. The band has now revealed the cover artwork for their fourth full-length album. As long as music exists, the album design industry will tthrive, regardless of how we listen to music. Prog rock legend/guitar virtuoso Steve Hackett needs no introduction. The band, who reunited early last year after a thirteen year break, return with a new live album. 'Live on I5', released March 21, is a collection of live songs from 1996 and includes fan favourites "Spoonman," "Rusty Cage," "'Burden In My Hand" and of course their big hit "Black Hole Sun." It's also reported that Soundgarden are heading back into the studio to record a new album. Modern technology is improving the way we listen to music as well as the manner in which it is made. On the bus, at the Recreation Center and in class: Most people are plugged into iPods whenever possible. Today students carry hundreds of their favorite albums everywhere they go. Technology completely changed the music landscape. It’s affected how we buy, hear and even make music. Today’s artist has more tools and opportunities than ever before. Technology is also forcing musicians to try new ways to reach fans and sell their product. Musicians today explore more and more avenues in order to reach fans. Even better, big record companies no longer dominate the industry, which is good for musicians and even better for fans. Demonaz Doom Occulta, current lyricist and former vocalist for the iconic Norwegian black-metal outfit Immortal is gearing up to release his debut solo album. The Scandinavian musician (real name: Harald Naevdal) is putting the finishing touches on his first solo offering, 'March of the Norse', which is due out April 1 on Nuclear Blast Records. 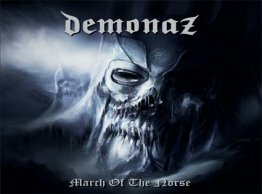 "Demonaz’ debut album “March Of The Norse” will be released April 1 (Europe) and May 17 (US). 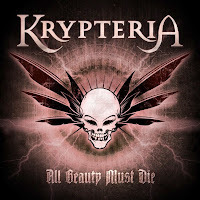 The album will be available as a limited edition digipak, limited picture disc and regular black vinyl. There will also be a limited mail order vinyl edition and a mail order box edition." In my opinion, heavy metal has always had the best album cover art and it continues today! Motley Crue's Vince Neil might be serving his prison sentence for DUI, but that doesn't mean the rest of the group can't keep busy. Rock Icon and Syndicated Radio Show Host Nikki Sixx will release This Is Gonna Hurt: Music, Photography And Life Through The Distorted Lens Of Nikki Sixx, a follow up to his New York Times bestseller, The Heroin Diaries in April. 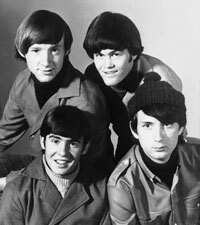 The Monkees are to reform for a tour celebrating the group's 45th anniversary. Three members of the original made-for-TV band -- Davy Jones, Peter Tork and Mikey Dolenz -- are set to play their first UK tour in 12 years. The other founder member, Michael Nesmith, continues to keep his distance. Ronnie Wood has his own hit radio show in England — and he’s dropping names left and right. Talking to the U.K. Press Association, Wood told tales from the old days, rubbing shoulders with and dodging advances from the biggest names in rock. Richard Langham, circa September, 1963, with the Beatles in Abbey Road's Studio Number 2. In a new interview, Red Hot Chili Peppers singer Anthony Kiedis is sharing details about the work that’s going into the band’s new album, which will be their 10th. 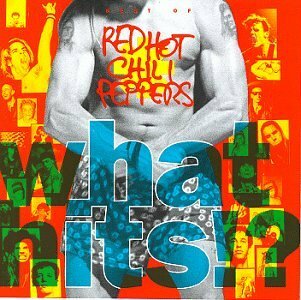 But the Rick Rubin-produced release will not feature long-term guitarist John Frusciante, who departed (amicably) in 2008. It's rumored that sucking on a copper penny will cause a breath-alyzer to read 0. Jean-Claude Van Damme was the alien in the original "PREDATOR" in almost all the jumping and climbing scenes. King Kong is the only movie to have its sequel (Son of Kong) released the same year (1933). Liquid paper was invented by Mike Nesmith's (of the Monkees) mother, Bette Nesmith Graham, in 1951. Lynyrd Skynard was the name of the gym teacher of the boys who went on to form that band. He once told them, "You boys ain't never gonna amount to nothin'." In 1958, the first Flying V, by Gibson, was shipped from a factory in Kalamazoo, MI. In 1964, the Rolling Stones' "Not Fade Away," the Hollies' "Just One Look" and Billy J. Kramer's "Little Children" were all released. 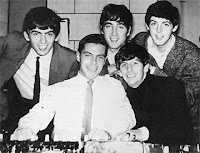 In 1964, a New York band called The Echoes recruited a young piano player named Billy Joel. The quartet would play cover songs under the names The Lost Souls, The Commandos and The Emerald Lords before Billy split two years later to join The Hassles. He would make his breakthrough in 1973 with "Piano Man". In 1970 - Simon and Garfunkel's "Bridge Over Troubled Water" entered the UK album chart at number 1, where it would stay for 12 consecutive weeks. It would return to the top seven times, spending a total of 41 weeks there over the next two years. In the US, the LP spent 10 weeks at number 1 on the strength of three top 10 singles and was the number 7 album of the decade in America. Also in 1970, the Jackson 5 made their TV debut on American Bandstand. Florence Ballard of the Supremes died of cardiac arrest at the age of 32 in 1976. Fleetwood Mac released Rumors in 1977. In 1982, Disc jockey, Murray "The K" Kaufman, died of cancer at the age of 60. Kaufman's influence on Rock and Roll and its audience led the Beatles to seek him out when they first came to America in 1964. Kaufman's friendship with the group earned him the nickname "The Fifth Beatle". Ooops...In 1990, Milli Vanilli were awarded the 'Best New Artist' Grammy. It would take until the following November for producer Frank Farian to confess that the duo of Fab Morvan and Rob Pilatus never actually sang a single note on their recordings, causing the award to be withdrawn. And in 2008, a US music aficionado sold his collection of more than three million vinyl albums, singles and compact discs to an eBay buyer from Ireland for just over $3 million. An eBay spokeswoman said the sale is one of the highest ever for the online auction site.